XClutch is the American performance division of Australian Clutch Services. With over 25 years of experience, our performance kits are designed and developed to provide the ultimate clutch solution for the street or the track. 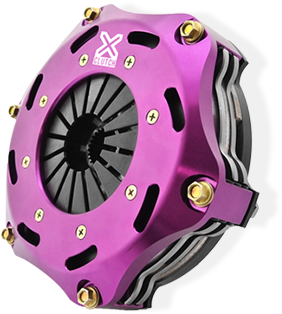 XClutch (Also known in other markets as "Xtreme Clutch") kits and components are designed and tested in-house at Australian Clutch Services which is based in South Australia. The range includes a wide variety of performance options including heavy duty, single plate road clutches all the way through to carbon clutches for time attack and drag racing. The XClutch range draws on our experiences in the Australian and European markets, but is tailored to suit the American car park. Each kit is carefully designed to ensure it provides the attributes required for the specific vehicle use. XClutch utilises in-house testing equipment to ensure that each clutch is extensively tested and altered before being offered on the market. Our performance upgrades for the street have been designed specifically with this in mind and include the latest technology to allow for excellent feel, noise and vibration reduction. Now you can have a performance clutch that really works on the street. With the knowledge gained over years of supplying performance upgrades to race teams around the world, XClutch engineers are able to develop numerous performance upgrade options for a huge range of vehicles. Our motorsport clutch kits start at basic ceramic and carbon kits for lightly modified track day vehicles and club level racing all the way through to multiplate, alloy cover performance kits designed specifically to handle the stresses of high level motorsport including drifting, circuit racing and specialist categories such as Time Attack or Hillclimbing. XClutch also specialises in performance flywheels, clutch hydraulics, bearings, engine/gearbox conversion clutch kits, specialist tools and accessories. For more information, please contact us.